Water is expected to be the most valuable natural resource in the next century, but water is already a major issue in places like the United States. Water utilities are attempting to combat a variety of issues with increased engagement with their customer-base, while at the same time struggling with reliable clean water delivery. Enter FATHOM, a software provider which bills itself as having “a water-utility specific solution to cure water woes,” which is aiming to combine the power of big data and software technology to power water efficiency and successful water utility operations. FATHOM even originated at a water utility, Global Water Resources, inc (GWRi), a leading water resource management company based in Arizona, and so it knows the difficulties water utilities are facing, and the future threats on the horizon. I first heard about FATHOM after I wrote about WaterSmart, a “leading water utility customer engagement platform” in the United States which is allowing utilities to better communicate with residential customers, help them save water, energy, and money, while also helping utilities at the same time. Within the United States, the California drought continues to increase the difficulties water utilities in and around the region have in guaranteeing a clean and regular supply of water. Further north and inland, Michigan Governor Rick Snyder recently apologized to the residents of Flint for having to drink contaminated drinking water for two years. By combining data from sensors and systems, utilities can make quantitative determinations on the quality of water in their distribution systems, understand the quality of water in real-time, plan for potential changes to the regulatory regime, and maximize the efficiency of maintenance and capital expenditure budgets. FATHOM takes in all the data that water utilities need, and creates helpful answers that water utility managers can then act upon. Like WaterSmart, FATHOM not only works on the back-end with utilities, but it also provides customer engagement features which allows customers to help make better decisions as well. Customer engagement is fast becoming a vital part of utilities’ growth — electricity utilities are beginning to provide smart thermostats and monitoring software and apps which allows customers to make better decisions about how they use their electricity, when to leave their appliances on or off, how to better adjust heating and cooling systems, and more; water utilities are next in line for this sort of treatment, and applications like WaterSmart and FATHOM are at the front line of providing customers with more information. 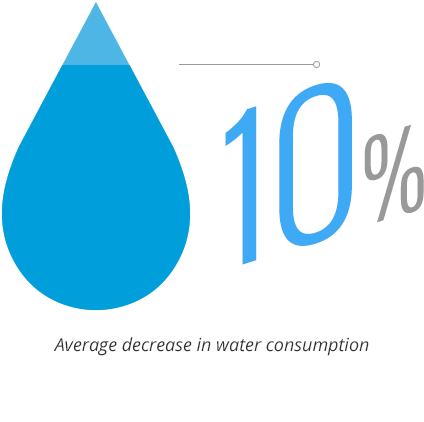 FATHOM boasts that it has recovered total annual revenue of $7.4 million due to its data, created an average of 10% decrease in water consumption, and an average reduction in bad debt of 60%.